"Could you choose between a superpower and a friend? "The evil treasure hunter Damien Black needs some quick cash--so he robs the local bank. But Damien Black didn't figure Dave Sanchez into his plan. 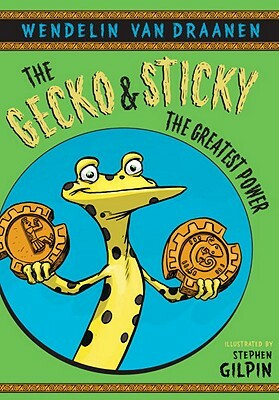 Dave's been itching to try out the Invisibility Ingot in his magical wrist band, and here's the perfect opportunity to make like a superhero So Dave and Sticky set off after the robber, determined to retrieve the bank's money. The Black mansion is a house of hysterical horrors, but somehow he and Sticky manage to navigate the maze and escape with the cash. "Asombroso "Dave thinks he's home free, but Damien Black isn't one to give up easily--more than the cash, he wants Dave's wrist band, and he's got a dastardly devious plan that even an invisible boy won't be able to slip out of.